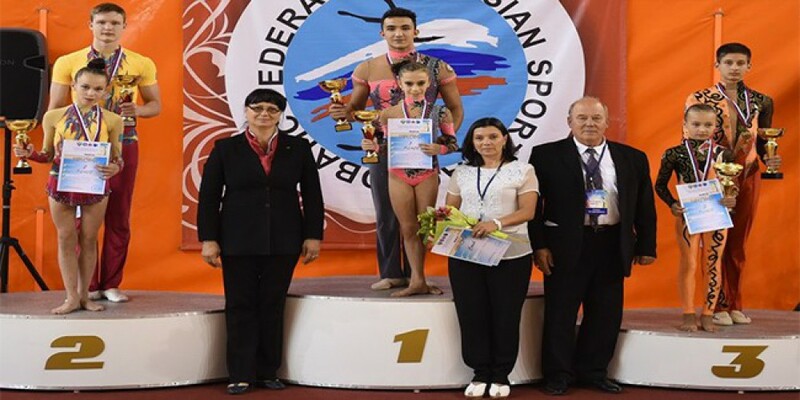 Azerbaijani acrobats Aghasif Rahimov and Nurjan Jabbarli grabbed gold medals in the "Volkov Cup", the annual international tournament held in Veliky Novgorod, Russia. They have totally scored 84.100 on the age group 12-18. Other Azerbaijani acrobats Seymur Jafarov and Murad Akparov satisfied with silver with a total score of 84.800. According to Azerbaijan Gymnastics Federation, the tournament brought together Azerbaijani, Georgian, Ukrainian, Belarusian, Moldovan, German and Israeli athletes.